Thy Changeless Purpose rules them all. Be Thou a sure defence and shield! And help and hearten each and all! Who fearless face their country's foes! Come, touch, and make them whole again! Thy servants in their hour of stress! We pray Thy tender welcome home. We trust them to Thy Love at last. Who, nobly striving, nobly fall! O, come! In tenderest pity, come! Be Thou most wonderfully near! To quicken life and conquer death! And guard them from disease and death. Thy Peace on earth till Time shall end! Interpretation: This poem is a prayer for the lives lost, and those still fighting on the Western Front. It is hopeful that those boys will come home soon from the ruthlessness and brutality of war. The poem also contains patriotism, which is expressing that even though lives had been lost, they still have faith that those lives would not have been lost in vain. About the Poet: This is the pseudonym of William Dunkerley, a store owner who wrote this poem for his church during the First World War. He was a religious man, and there is not much information on him because he is not very well-known. 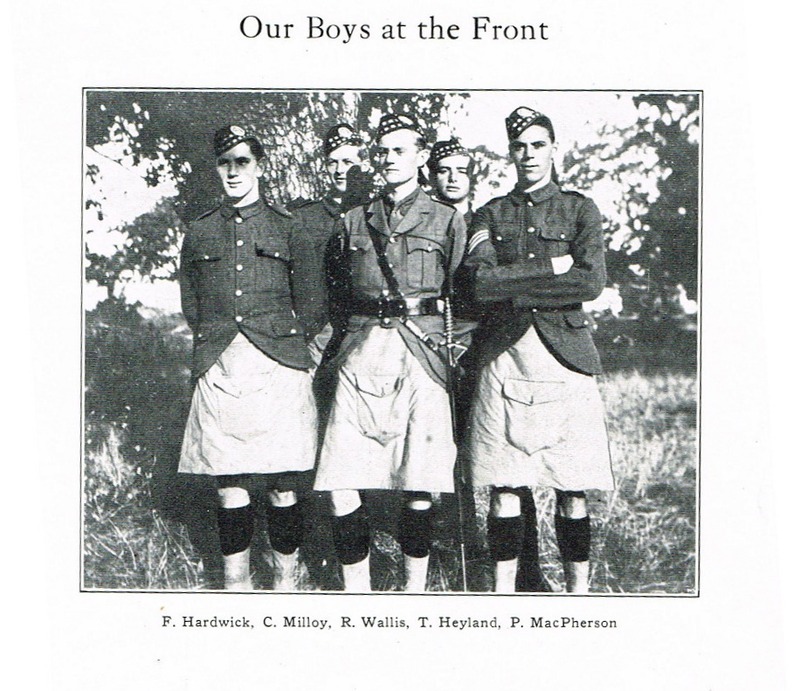 Connection to Vic High: During the time of the Great War, Vic High was more patriotic than any other school in Canada, but Victoria as a city had more men enlist in the Canadian Expeditionary Force than anywhere in Canada. Many students had dropped out during war time to fight amongst the soldiers from the mother country, and to protect the country in this dangerous battle against Germany. At this time, Canada was not an autonomous country from Britain. Despite being a young dominion, many men across the country – even young men from Vic High were prepared to confront the fray and sacrifice their lives, but also put their lives on the line in the name of peace.